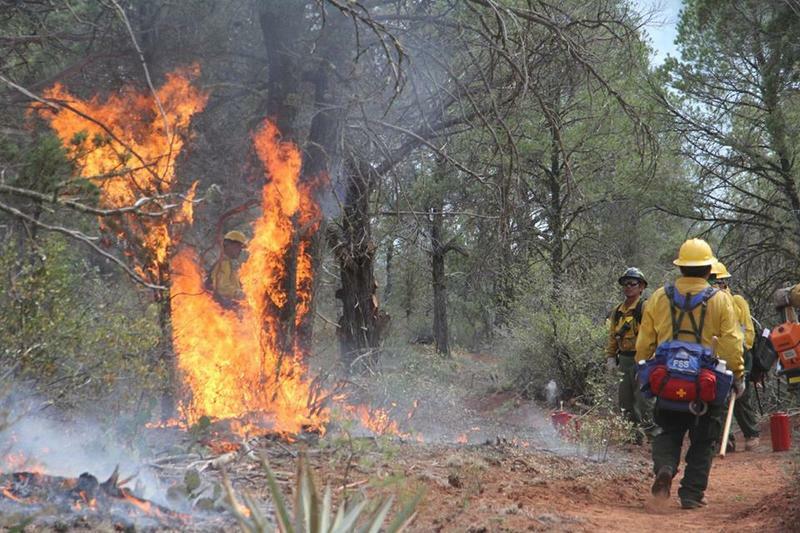 A research group projects Arizona will have the largest increase among western states in the number of days per year with a high wildfire risk. The finding is part of a report that says climate change will lead to bigger and more frequent wildfires across the region.  Arizona Public Radio’s Justin Regan reports. 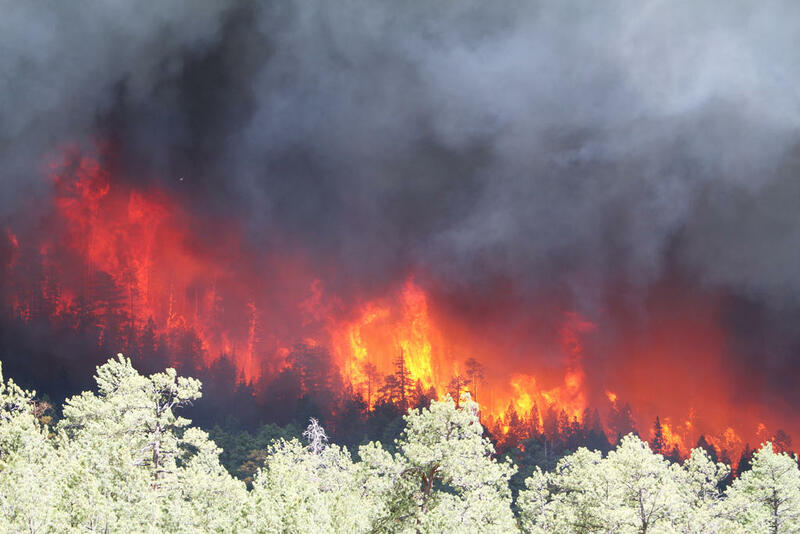 The Wallow Fire in 2011 burned more than 500,000 acres and destroyed 72 structures in eastern Arizona. The report by Climate Central predicts by 2050 Arizona will have an average of 115 days a year with a high wildfire risk. The current average is about 80. The study used 45 years of wildfire data from the U.S. Forest Service and various atmospheric models. It found climate change is causing less snow pack, drier forest fuels and hotter days in the west. In addition, the data showed since the 1970’s, Arizona had one of the biggest increases in average spring and summer temperatures. A separate report by Climate Central gave Arizona a "D-" for preparedness in facing the increasing wildfire threat. 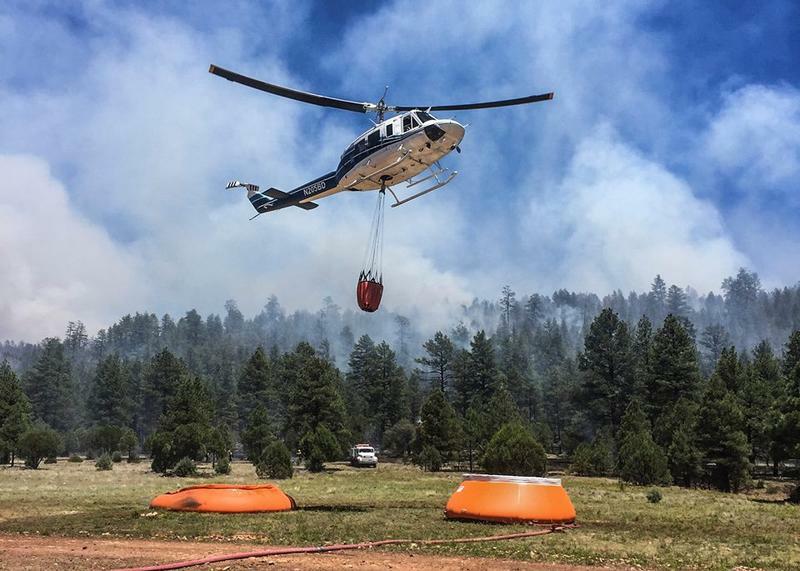 A group of firefighters who had to deploy their fire shelters this week while battling an Arizona blaze were part of the Navajo Interagency Hotshot Crew. Six firefighters in the 20-member crew deployed their shelters Tuesday, a few days before the three-year anniversary of a fire that claimed the lives of 19 Yarnell Hotshot crewmembers. The Yarnell Hotshots deployed their fire shelters in a last-ditch effort to save themselves. The lightweight cocoons are made of reflective material and are intended as a firefighter's last resort. Officials say illegal drones are hampering efforts to contain a wildfire threatening communities in eastern Arizona. Navajo County spokesman Adam Wolfe said Thursday that drone operators have been flying near the roughly 70-square-mile blaze. 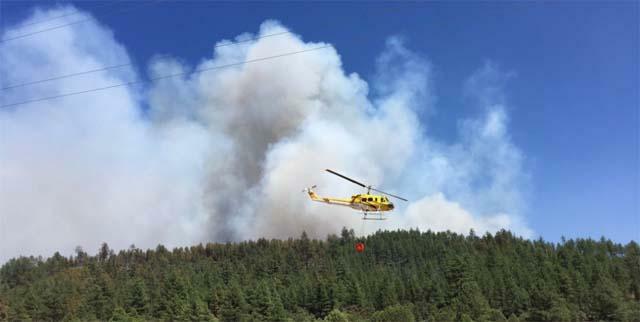 Airspace over the fire, which is 2 ½ miles north of the Cedar Creek community, is under a temporary flight restriction. A wildfire in east-central Arizona that has doubled in size to nearly 42 square miles is burning in an area with more sparse vegetation. Navajo County spokesman Adam Wolfe said Monday afternoon that the community of Cedar Creek remains under pre-evacuation notice only. He says the eastern edge of the fire has crossed over the Cedar Creek drainage, but the southern perimeter is still about 2 ½ miles north of the Cedar Creek community of about 300 residents.